"Come Hell in a Cell, I would have had the most pay-per-view matches out of anyone in WWE history. I will surpass Trish Stratus' record. To know how hard I worked, and to get this opportunity, it's so great because 100 or so episodes later you see me achieve my dream. It's a great message for men and women alike that if you believe in yourself and don't give up, no matter how many times you want to throw in the towel, you can reach your dreams. Everything you ever wanted to happen can. You just have to keep going." - Below is the latest WWE Network Pick of the Week with Asuka promoting her new WWE Network Collection. 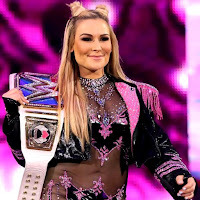 The Empress of Tomorrow says the RAW division is not ready for her and every Superstar in the division needs to watch her Collection to see their future.